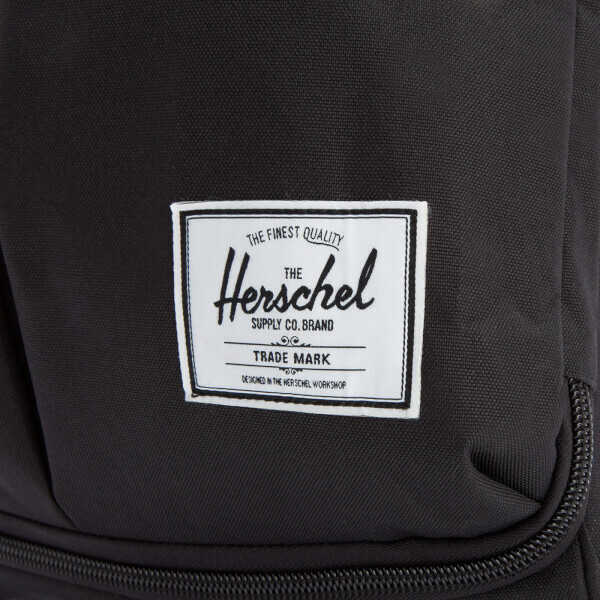 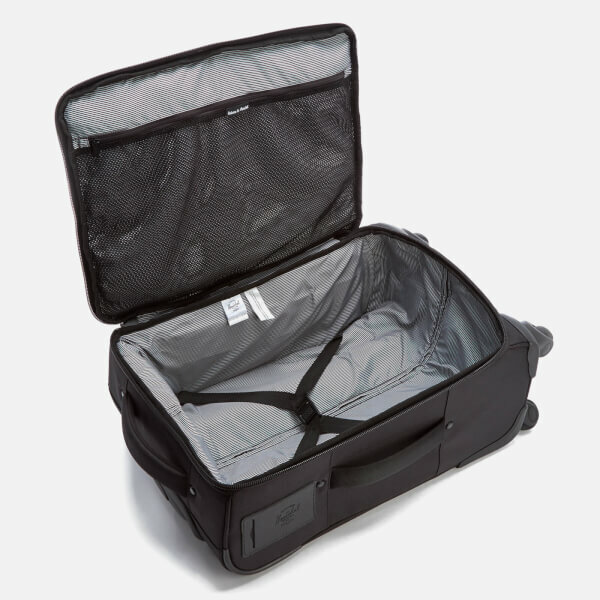 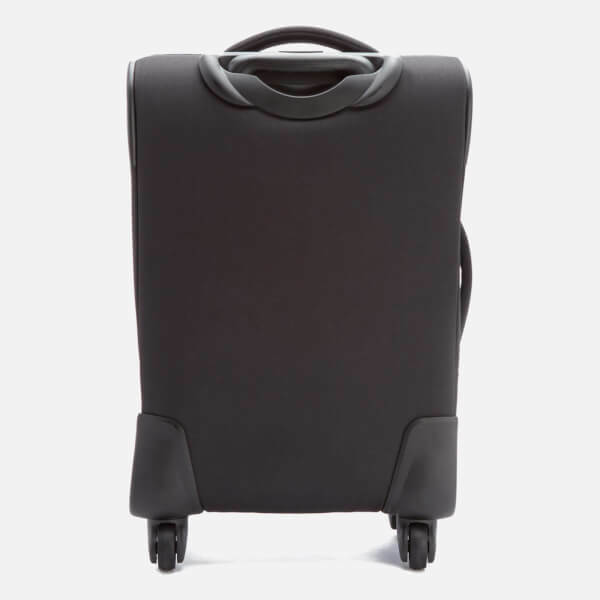 Black ‘Highland’ suitcase from Herschel Supply Co. Crafted from durable fabric, the lightweight luggage case comprises a dual, zip around fastening with pebbled leather zip pulls and lockable zips. 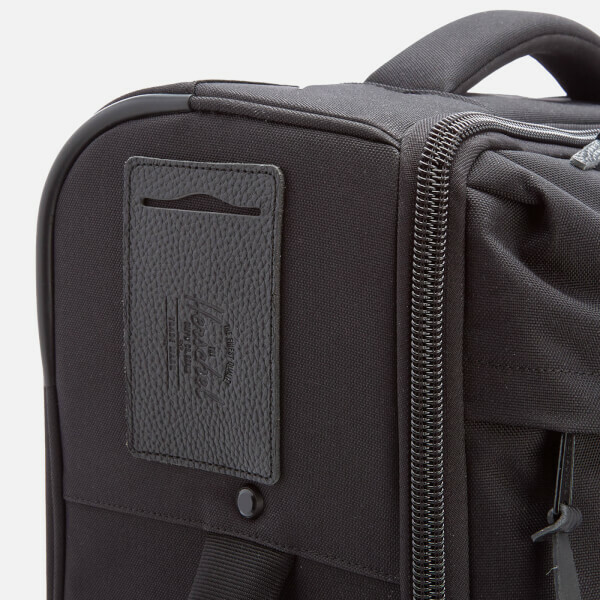 The case opens to reveal a signature striped interior with zip secured mesh storage and adjustable garment straps. 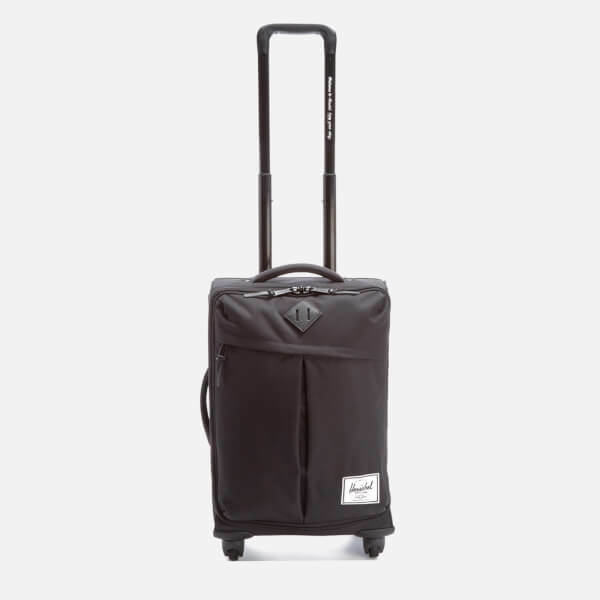 Top and side grab handles and a retractable trolley handle with four multi-directional, 360-degree rotation wheels offer versatile carrying options. 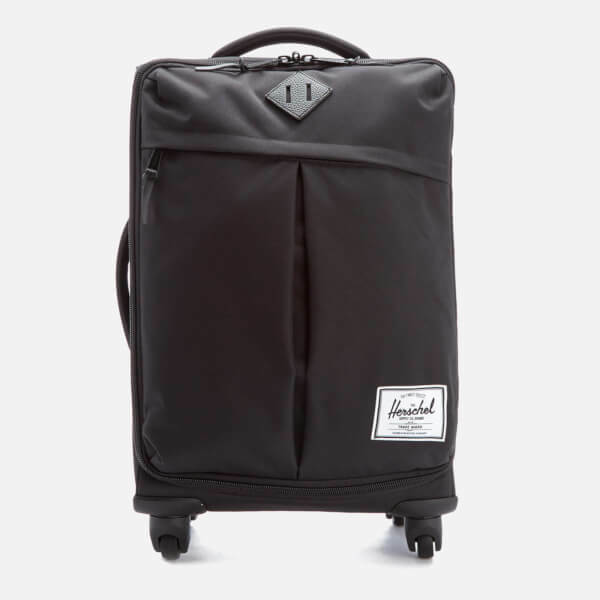 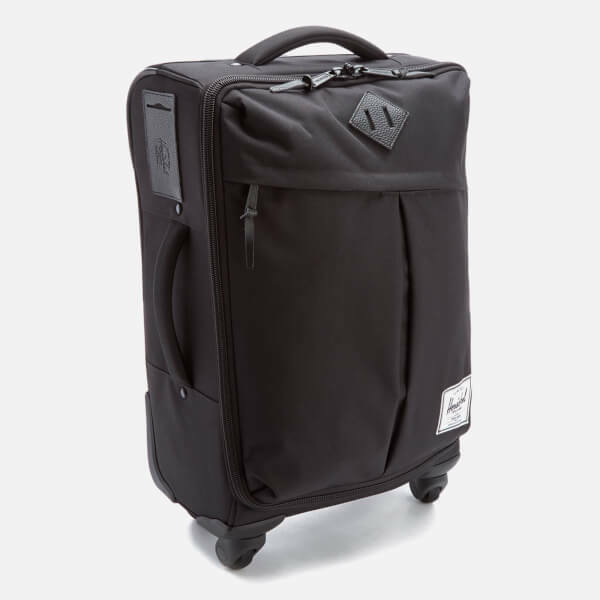 The suitcase is complete with an external, pleated compartment with a zip fastening, a signature woven Herschel label and a branded identification slot in leather.